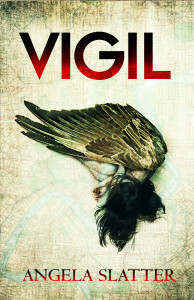 So, Vigil is my debut novel, the first of the Verity Fassbinder series (published by the lovely Jo Fletcher Books in July 2016). It’s a supernatural crime novel and very different from the Sourdough tales (so, please do not write to me saying “It’s different to Sourdough! Shock! Horror!”), and different again to my ‘proper’ horror stories like “Winter Children”, “Home and Hearth” and “Finnegan’s Field”. And as of yesterday (24 March 2018), it was nominated for the Dublin Literary Award! How cool is that? BUT! It does have fairy tale and mythic elements, all set in modern day Brisbane. Verity Fassbinder has her feet in two worlds. The daughter of one human and one Weyrd parent, she has very little power herself, but does claim unusual strength – and the ability to walk between us and the other – as a couple of her talents. As such a rarity, she is charged with keeping the peace between both races, and ensuring the Weyrd remain hidden from us. But now Sirens are dying, illegal wine made from the tears of human children is for sale – and in the hands of those Weyrd who hold with the old ways – and someone has released an unknown and terrifyingly destructive force on the streets of Brisbane. And Verity must investigate – or risk ancient forces carving our world apart. And Verity will return in Corpselight in 2017 … and maybe in Restoration in 2018.